FRIDAY, March 8, 2019 (HealthDay News) -- Take-out pizza is the ultimate fast food -- gooey cheese, salty sauce, fatty pepperoni, all baked on top of what's basically white bread. But there's no need to feel guilty about enjoying a hot slice once you've mastered a nutritious and delicious pizza makeover. Add just a few ingredients to your weekly shopping list. 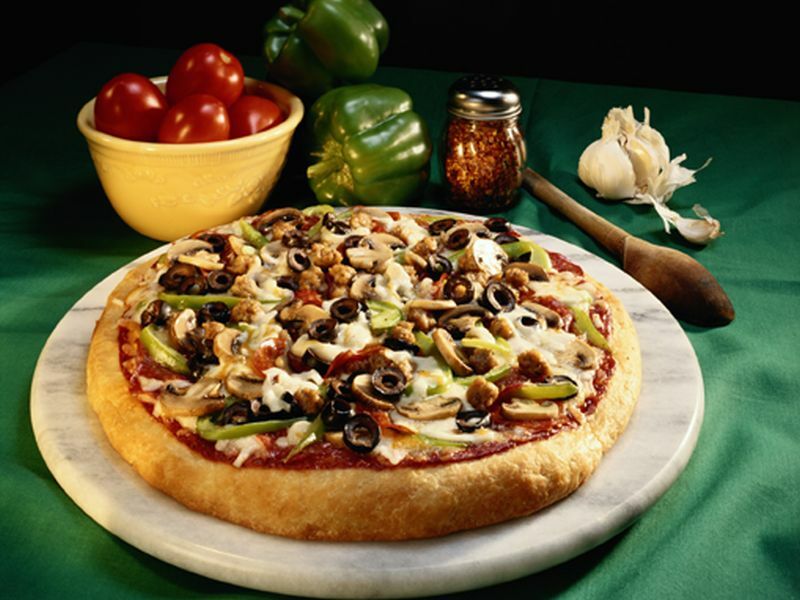 It can take less time than a trip to the drive-thru, but now your pizza will be healthy, too. Here's what you'll need: Choose a high quality 100-percent whole wheat crust to get fiber with every slice. Look for low-sodium jarred marinara sauce or simply buy a large can of diced tomatoes. Stock up on plenty of low-cal, high-fiber veggies like mushrooms, red bell pepper and baby spinach. If you like your pizza spicy, replace fatty pepperoni with red pepper flakes for heat. Let the dough come to room temperature, then roll it out on a rimmed baking pan lined with parchment paper. Evenly spread on the sauce and then top with the vegetables, pepper flakes, if desired, and cheese. Bake eight to 10 minutes (or according to the dough package directions), until bubbly.